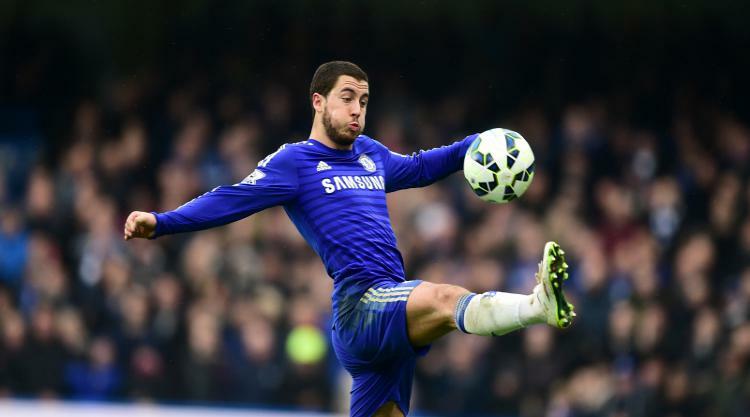 Manchester United are plotting a £90million move for Chelsea star Eden Hazard, according to the Sun. It has been reported in Spain the Belgian international was in "advanced negitiations" with Real Madrid, but Jose Mourinho is keen on bringing the 26-year-old to Old Trafford. Olivier Giroud could well be on his way out of the Emirates, according to the Daily Mirror. The centre-forward wants more game time as he bids to make the World Cup in Russia and his agent has reportedly said he will consider his future next month as the transfer window opens. Another player reported to be leaving Arsenal is Theo Walcott, with new Everton boss Sam Allardyce looking to hand the striker a fresh start at Goodison Park, reports the Mirror. Steven N'Zonzi is also on Allardyce's shopping list, but will have to fend off interest from Arsenal and West Ham, the paper says. David Luiz's future makes the papers for a third day in a row as the Shields Gazette reports Newcastle want to take the 30-year-old on loan from Chelsea. Earlier this week, the Daily Express said that Arsenal are considering making a move for the defender while the Daily Mail said Real Madrid and Juventus are looking at making an offer. Brighton have renewed their interest in striker Ze Luis, according to the Sun. The Seagulls have already bid £5million for the Cape Verde international and will make a second move, the paper said. Andre Almeida: Leicester City are looking at taking on the Portugal full-back from Benfica, the Leicester Mercury reports. Leonardo Ulloa: Steve Bruce wants to bring the Argentina and Leicester forward to Villa Park, the Birmingham Mail said.